Son: My ankle hurts from running. Daughter: Is it your medial malleolus or lateral malleolus that’s hurting? Maybe with all the focus on physical anatomy, I’ve become more sensitive to spiritual anatomy terms as I’ve studied the Book of Mormon. Whatever has caused it, I’ve been blown away by how many times the ancient prophets refer to the human HEART. Repeatedly, they warn their people (and us) about not hardening our hearts against God and His prophets. “A heart transplant can prolong life for years for people who would otherwise die from heart failure. But it is not “the ultimate operation,” as Time magazine called it in 1967. The ultimate operation is not a physical but a spiritual “mighty change” of heart. We all know of individuals who had this mighty change of heart but subsequently yielded to the natural man. They became casual in their worship and devotion to God, their hearts became hardened, and they thereby jeopardized their eternal salvation. Becoming casual in our worship and devotion to God. I think it’s great how the Church has come out in the last year and really pushed Sabbath day observance. The prophets are trying to encourage us NOT to become casual in our worship and devotion to God. If we step it up and don’t yield to the lazy, slacker natural man, our hearts will stay soft and healthy and beat with the Spirit’s promptings. As I have made small changes and sacrifices to keep the Sabbath day more holy, the Lord’s day has come to mean more to me and I have felt my testimony grow. Sabbath day worship is very personal and will mean more to us as we search our own hearts and pray to know what we can specifically do to not be casual in our worship of God. For myself, I tried to think of something I could actually sacrifice to be closer to Heavenly Father on His day…something that makes the day different from the other six days. I’ve always done quiet activities since I was a child, so I sort of already felt I kept the Sabbath day holy. But with all the lessons and talks on the subject, I felt I needed to make an effort to show God I would do more so that our relationship wouldn’t become casual. After I prayed, I was led to decide to read no more fiction on Sundays. This is something I do every day of the week (I usually read over 100 books a year and Sunday is when I have lots of hours to spend reading), but as I searched my motives, I realized fiction reading was taking my focus off the Savior, not putting Him front and center. I don’t suggest this for everyone. Maybe you don’t read much and reading could be an excellent activity for you to add to your Sundays. But for me, it was a sacrifice I decided I needed to make (especially after pondering why I did it). I still read on Sundays, but it has to be spiritual books now…things that will strengthen my testimony and desire to serve God. It’s funny how it works. Something I decide to sacrifice on Sunday may be something you decide to add to your Sunday routine. It’s all very personal. That’s why we should be careful not to tell others what to do or what not to do. We all live very different lives and have different motives behind our actions. If we discover that our motives for doing something on Sunday are not exactly pure, we need to change so that our relationship with deity never becomes casual. There is that spiritual anatomy coming into play again. It shall be well with us if we repent, but not so good if we harden our hearts against the Lamb of God. This shows how vital repentance is to our spiritual health. Repentance is the healing salve or balm that keeps our hearts from hardening. Think of what happens to a physical heart when it becomes hard. The hardening of the arteries leads to heart attacks and death. Not good. When we don’t use repentance, it’s like not taking heart medicine after open heart surgery, and our hearts will harden spiritually. The arteries and veins providing sustenance become calcified and spiritual blood that makes us to rejoice cannot reach our center of operation and keep us spiritually alive. When we harden our hearts by not claiming the redemptive gifts of the atonement that are available through repentance, the mists of darkness and distractions of the world take our focus off of God and make our spiritually changed hearts wither and harden. We become casual in our relationship with God, and when we do this, that relationship is at risk of withering as well. It takes work and dedication to build a relationship with anybody…but especially with a God. Moses lifted up the brass serpent in the wilderness to save all who would look up. It was such an easy thing to do, but many would not turn their focus to the symbol representing the Savior. Peace and life eternal are easy choices for us. But many in our world are swept away by the whims of men and glories of the world (which are nothing compared to the glories of God). 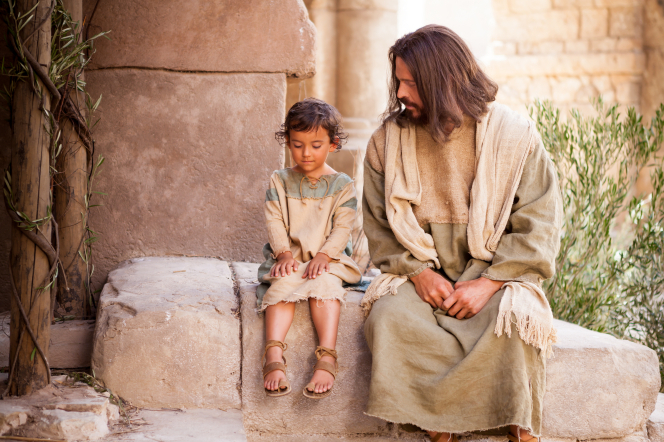 When we look away from the Savior, we ignore His atonement and our hearts harden…our eyes are blinded…our ears are deafened so that we cannot see and understand all that we are giving up. It’s so important not to lose focus on the Savior. He is the only One who can truly heal us and keep our hearts from hardening. Did you catch that? That verse used a spiritual anatomy term again. The big one. The source of Satan’s power is the HEARTS of people. When we allow our hearts to harden, Satan gains power. In the millennium, Satan will have NO POWER because he won’t have power over our hearts. We will choose to keep our hearts soft and under the influence of the Holy One of Israel because our focus will stay upon Jesus Christ. Satan will be powerless not because he is bound by any physical ropes or chains, but because we won’t give him power by giving our hearts over to him. No leader is powerful without followers. Verse 28 tells us who may “dwell safely” with Christ…and that can be right now…today. Anyone and everyone who repents may dwell safely with Christ. It’s that simple. Repentance is the key to safety and peace…and soft hearts. That’s Spiritual anatomy 101. We’re tested on it weekly when we partake of the sacrament. Do we give our hearts to Christ or the devil? Is our relationship with God casual or one of utmost importance in our life? These are questions we should ponder and act upon often.